For over 50 years Industrial Hardfacing has been servicing the Oil Seed, Meat Rendering, Meat Processing, Pet Food and Size Reduction Industries and ensuring the equipment required stays running. We have mastered the process of extending the life cycle of many of the parts known to wear out. Industrial Hardfacing specializes in repairing and rebuilding machine shafts utilized in Rendering Screw Presses, Twin Screw Presses, Size Reduction Equipment such as Extructors, Prebreakers, Prehoggers, Hydrolizers, Tallow Pumps, Lamella Pumps and more. All shafts are inspected to determine the full extent of repairs and new replacement parts required to complete the job. Industrial Hardfacing offers in house machining services including turnkey fabrication or repair services. If you have a damaged part, we can repair it back to original specifications or offer new replacements. 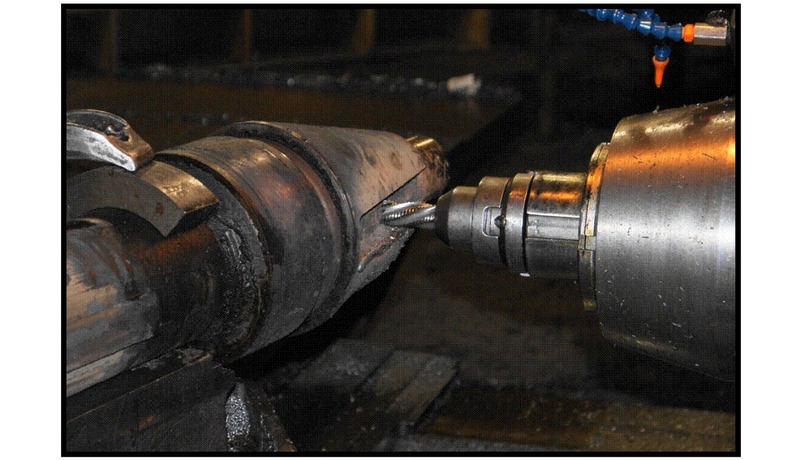 Industrial Hardfacing has MIG, TIG, stick welding capabilities used to repair your precision machine parts. Industrial Hardfacing offers turnkey grinding and machining services. This includes pre-grinding as well as finishing grinding after coatings have been applied. We have the capabilities to grind almost any material including carbon and stainless steels, alloys, tool steels, hard chrome, ceramic coatings, and tungsten carbide. Our more than 50 years experience in offering grinding services enable our team to meet tight tolerances and to offer the fabrication of new parts or repair used parts to like new condition. IHI inspects all shaft key ways to determine what, if any, repairs are required. IHI has the ability to rebuild, reinforce and return worn key ways to original specs. Industrial Hardfacing has extensive expertise employing some of the very best machinist, many with over 40 years experience leading the way. IHI has numerous lathes, mills, grinders and water jet capable of producing precision parts.